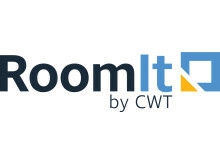 ​Carlson Wagonlit Travel, the global travel management company, has expanded its mobile air booking offering in 20 key markets around the world, giving travelers the option of booking their flights directly on the myCWT™ app. It’s Electrifying – Will we assist to the end of fossil fuels propelled aircraft any soon? 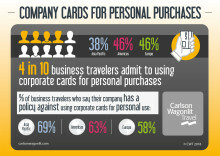 The Rise Of Ancillary Revenue – Is the lowest available fare always the best option? 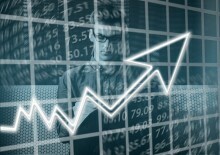 ​Ancillary revenue in the airline industry – generated by activities and services that yield revenue for airlines beyond the simple transportation of passengers from A to B – has increased dramatically over the years. 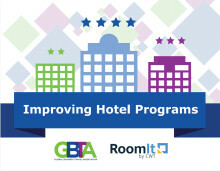 RoomIt by CWT just published a study with GBTA asking travel buyers and travelers about their hotel program to understand goals, policies, traveler behavior, and future program considerations. Reducing program costs remains the top goal for many travel buyers, and, despite great effort, many are frustrated that their efforts have not been more impactful. Show Me Your Visa – Where do you lie on the spectrum of mobility? ​With Brexit fast approaching and with it concerns over the complexity of visa processing, it seems like an apt time to look at the latest edition of the Henley & Partners Passport Index published at the beginning of October. According to the latest data available, if you hold a Japanese passport, you can visit 190 countries without the need to get your passport stamped. 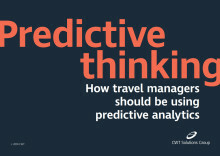 ​Carlson Wagonlit Travel, the global travel management company, has launched CWT AnswerIQ, a next-generation data insight, reporting and visualization tool that works like a personalized search engine that knows everything about the client’s travel program. 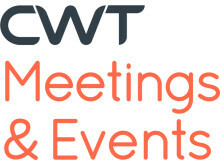 ​Carlson Wagonlit Travel, the global travel management company, has appointed Courtney Mattson as its new Treasurer. 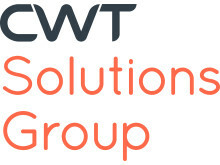 Mattson will be based in CWT’s headquarters in Minneapolis, reporting to Brad Hall, CWT’s Chief Financial Officer, and will serve as a member of CWT’s Finance Leadership Team. 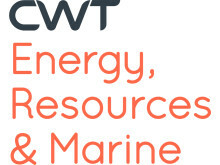 ​Simon Goldie is a global program director in the Energy, Resources and Marine sector at Carlson Wagonlit Travel (CWT). 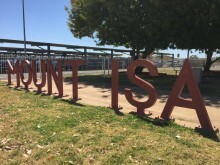 Experiencing life as a miner has always been one of his goals. When the opportunity came to explore a copper mine in the Australian Outback, Simon was more than ready to go. Below is his first-hand account. ​Brexit – A seismic event for the UK events industry? In the fourth blog in our Brexit Impact series, we are looking at how the divorce bill could impact the meetings and events industry. When one thinks of diamonds, one imagines brilliant stones cut and polished to perfection, emitting cool points of light against the warmth of bare skin. They evoke romance and love, commitment and happiness. Average ticket prices (ATPs) for air are forecast to drop globally in November and December following a sell-off in oil prices in mid-to-late October, coupled with traditionally slower months for business travel around the holidays that is expected to dampen demand.